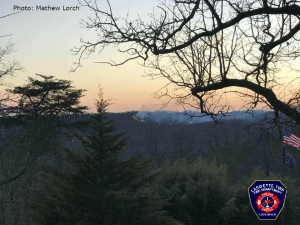 On Thursday Afternoon just after 2PM, The first dispatch was transmitted for a woods fire near 1180 Highwater Rd. 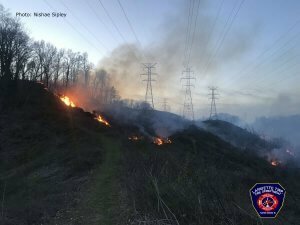 In Floyd Co. As units arrived it was clear this fire was going to be difficult to contain. 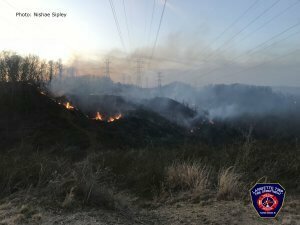 The fire rapidly moved through steep hills fueled by winds near thirty MPH, low relative humidity, dry grasses and leaf litter. 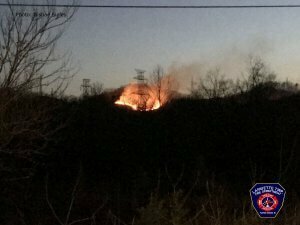 Crews worked late into the night to contain the fire, protect surrounding homes and structures. 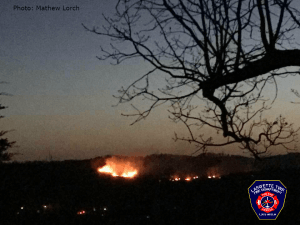 Several crews stayed on scene overnight to make sure the fire didn’t cross fire breaks. The fire will continue to burn for a few more days. 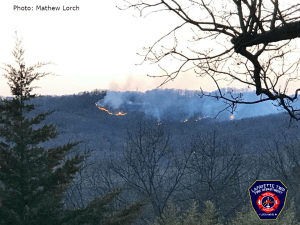 It has been said this is one of the largest woods fires in Floyd County to date.